If you're looking for the best platform pedals for your road bike, you've come to the right place. In this guide, we're going to go through everything you need to know to find the best ones for you. Pedals are important because they're one of three contact points with yourself and the bike. This makes getting them right essential for overall comfort and confidence when you're riding. There are two main types of pedals. Clipless and platform. Clipless requires you to have a special type of shoe, whereas you can wear whatever you want with platforms. Within these two groups, there are variations such as toe clips, MTB's, SPD's and Looks. 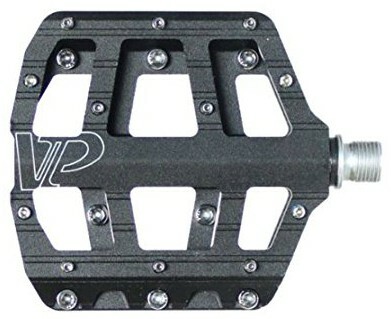 There are lots of different shapes and sizes, but today we're just going to look at platform pedals for road bikes, along with a few other options that may interest you. Below I've gone through all of the things that you should consider before making any purchases. If you want to get a platform pedal, you'll want to ensure that you get a grippy pair. One's with metal studs are much better than smoother pedals because they grip onto the soles of your shoes. The only downside to these is if you accidentally miss the pedal and knock your shins. The studs grip straight into your leg, and it's quite painful! The size of the pedal that you buy is also important. There's no need to get a large pedal if you have small feet, as you'll end up with a significant amount of pedal overlap. There is nothing wrong with this but it'll make you more likely to "pedal strike" when going round tight corners. They'll also be a little heavier, this won't concern most people, but it's nice to save some weight if you can. ​There are many advantages to having clipless pedal over platform pedals. With clipless, you'll have far more control and power. But, sometimes they just aren't what you want. Perhaps clipless gives you knee pain when cycling, or maybe you don't want to arrive somewhere having to wear a pair of cleated shoes. If it's the shoe aspect that concerns you, the ​Shimano A530 SPD Pedals are an excellent choice as they give you the option of either platform or cleated. However, I've found the platform side to be a little small without much grip, but they may suit your riding needs. For something that enables you to wear your shoes, but still gives you lots of support and power,​ you can take a look at toe clips. ​Toe clips are a great happy medium pedal. They enable you to get more power on the upstroke of your pedal, but you don't have to wear cleated shoes. It's also difficult to keep your foot in the correct position with platform pedals. Correct toe position is what's good about toe clips as they hold your foot where it should be. Some shoes don't fit well into clipless pedals, and some clipless pedals can even scuff your shoe. 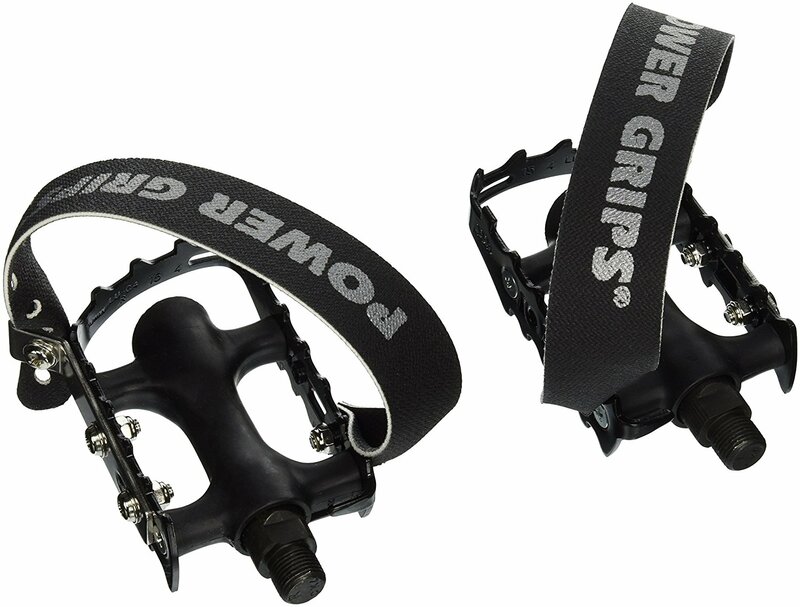 In this case, power grip﻿﻿﻿﻿s are a great alternative and are worth checking out. The downside to toe clips/power grips is if you crash. Strapping your feet into the pedals means they're much more likely to hold you if you crash. Landing at an awkward angle with your feet trapped can badly mess up your knees. For this reason, many people prefer standard platform pedals. Installing pedals is something that sounds simple, but it's easy to get confused. Here's a great video by the Global Cycling Network detailing how to do it. Avenir Resin Pedals are nice toe clip pedals. They're not a traditional platform, but they're a great alternative. 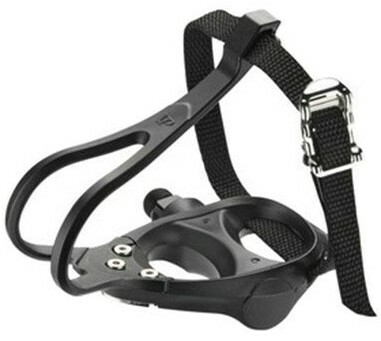 If you are considering toe-clips, then these are certainly some of the best. The good thing about this pedal is the adjustable strap. The adjustable strap means that whatever size your foot you can just adjust it to the right size for you. I take a size 12 shoe, and I'm able to fit into my clipless pedals with ease. However, the length is not adjustable. The end of the toe clip is the maximum distance you'll be able to move your foot. If you have especially big feet or like to have your foot further forward, you'd be more suited to power grips. The downside to these pedals are if you crash. As you're strapped in you're more likely to get stuck and do some serious damage. 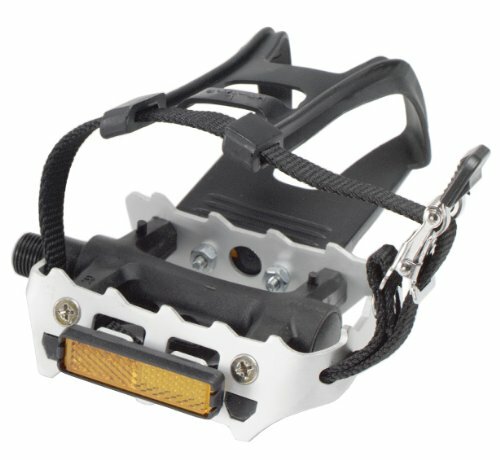 ​These pedals come with reflectors ready installed in them, which are a nice safety feature that not all pedals have. As they're always moving, they stand out quite a bit to any unsuspecting motorists that are going past​. ​Aluminum is these pedals material, so you know that they're strong, light and at the same time, they won't rust. Pretty much everything you could ask for from your pedal. Give you lots of support and enable you to get some power from your upstroke. Cages will drag along the floor if your feet aren't in them. It's possible that these will scuff up the tops of some shoes. 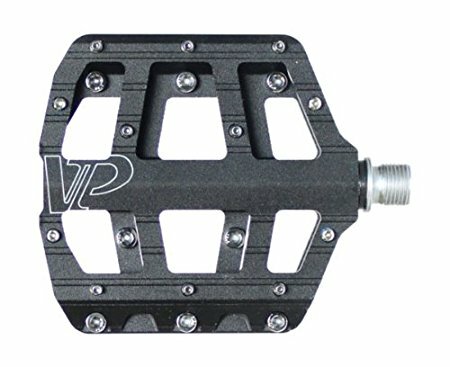 VP's Vice Pedals are your classic, high-quality platform pedal. The axle and bearings have been constructed to combine strength and durability with smooth running performance. Spot on for all your cycling requirements. ​These pedals come with 12 metal studs per side for extra grip. The studs make this an excellent choice if you want a pedal that you know your foot will stay on. However, watch out because if your foot does slip off and goes into your shins, the sharp metal can be painful. As long as you're careful, you'll be alright, and the extra grip the studs give you are worth the risk. ​This is quite a large pedal at 105 x 105 mm, which is great if you want a large surface area for your foot to rest. 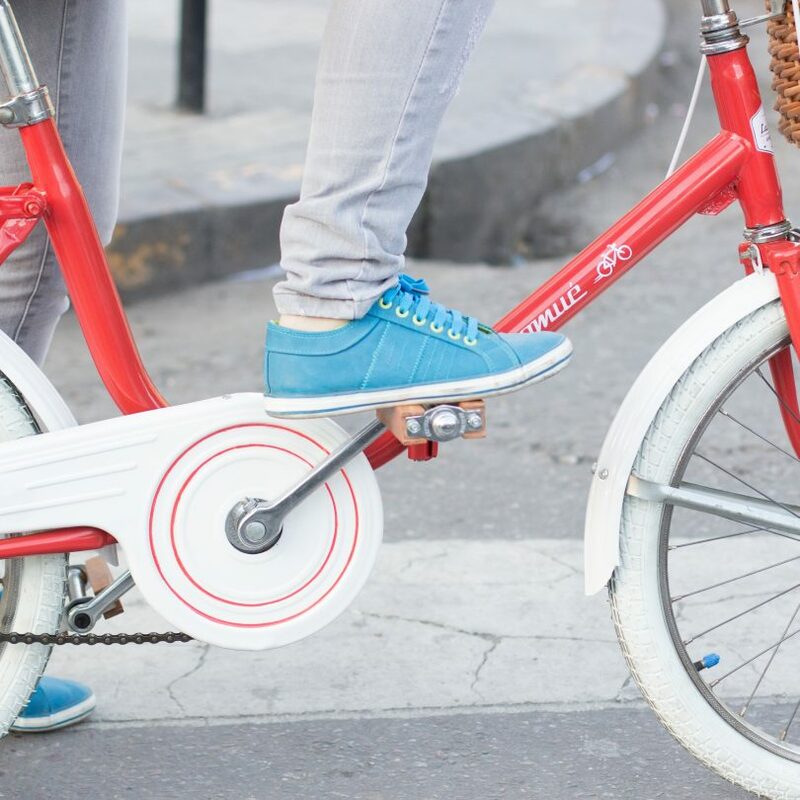 A big pedal means it'll be unlikely that your foot will slip off, but it also increases the risk of pedal striking when you go around sharp corners. The pedal also has a low profile, which is good because it'll help you to feel steady on the pedals and it gets rid of any unnecessary bulk. This pedal does not come with additional reflectors like the Avenir Resin. So this is something to consider if increased visibility is important to you. Related Post 3T Ergonova Pro Review: Will It Cut The Mustard? As with ​Avenir Resin, the material is Aluminium, so it's strong and will be suitable in all weather conditions. 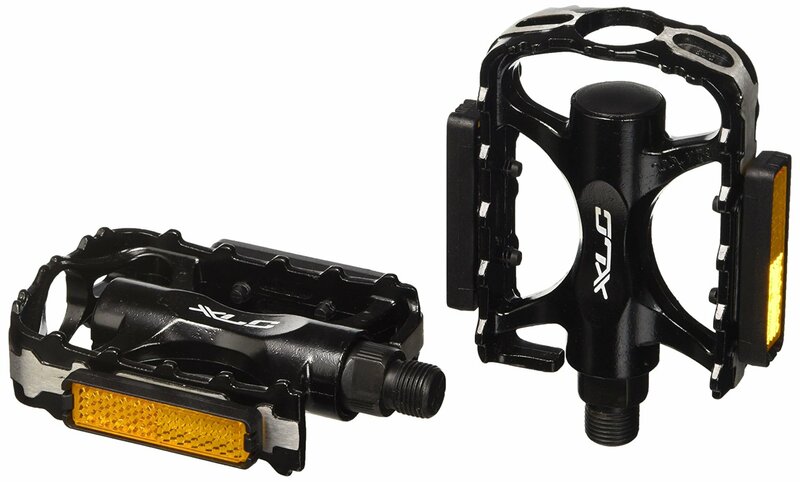 The XLC caged alloy black bike pedal ​is another nice platform pedal. ​Unlike VP's Vice Pedals, these have a "tooth" like edge to keep your foot stuck to the pedal. 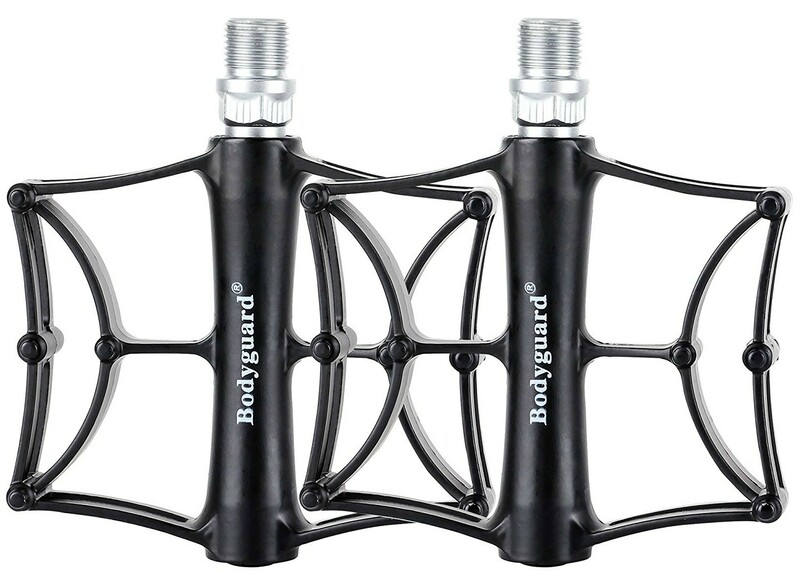 It's unlikely that these will be as effective as metal studs, but they'll be far better than the standard pedals that come with your bike, and they won't be quite as painful if you manage to slip and knock your shins. 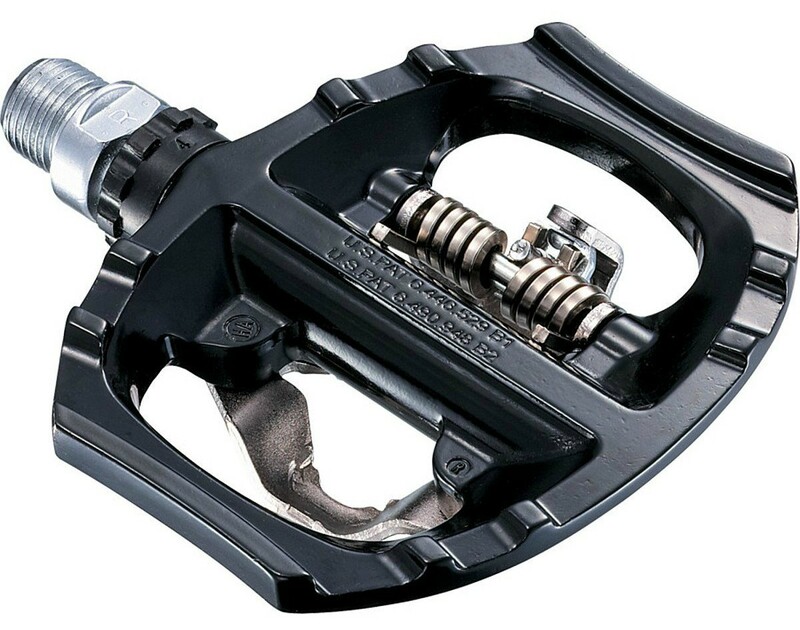 These pedals are the lightest ones in the review weighing in at 374g. This is great if you're looking for ways to save a little extra weight. They're also much smaller than VP's pedals measuring at 101 x 67 x 28mm; this will help to reduce any pedal overlap that you might get from other models. However, a large surface area is something you may prefer as it gives your foot more to aim for. ​These pedals come with reflectors. So they have much better visibility than the VP's which don't come with extra visibility features at all. I'd still recommend additional lighting features such as s﻿﻿pok﻿﻿e-lights, but it's good to know that your pedals are giving you a little extra safety as well. As with the other two pedals in this review, the material is Aluminium. The lightest pedal that has been considered here. All the pedals in this review are great, but there is one that stands out more than the others.